Wednesday:) What Wild Wonderful Creatures Have You Seen? 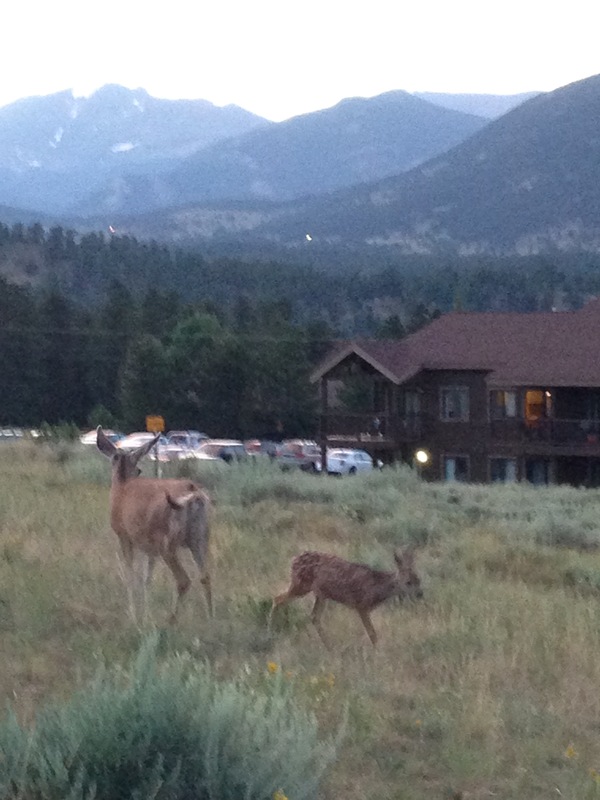 Then, I saw a mamma deer and her baby fawn munching some dry grass on the side of the road at the YMCA camp. 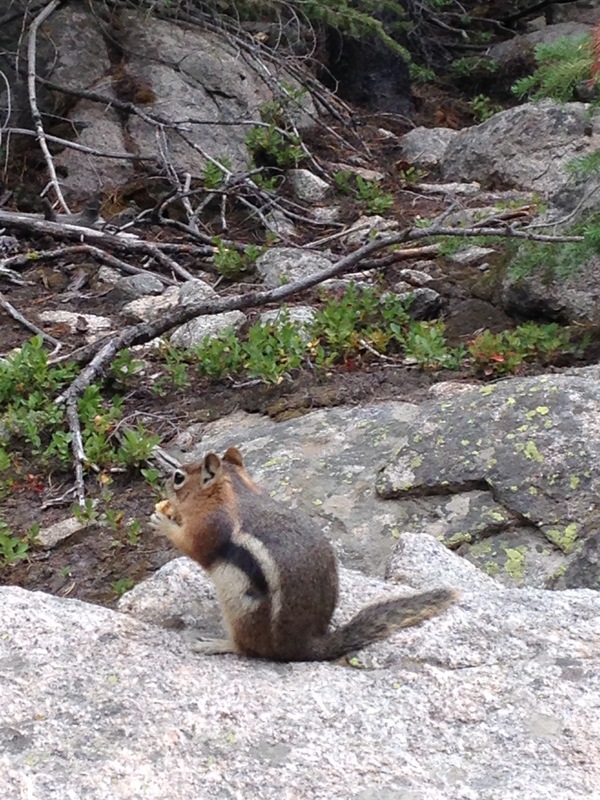 There were ground squirrels and chipmunks all over looking for food. All creatures great and small. This one was very small and very cute. 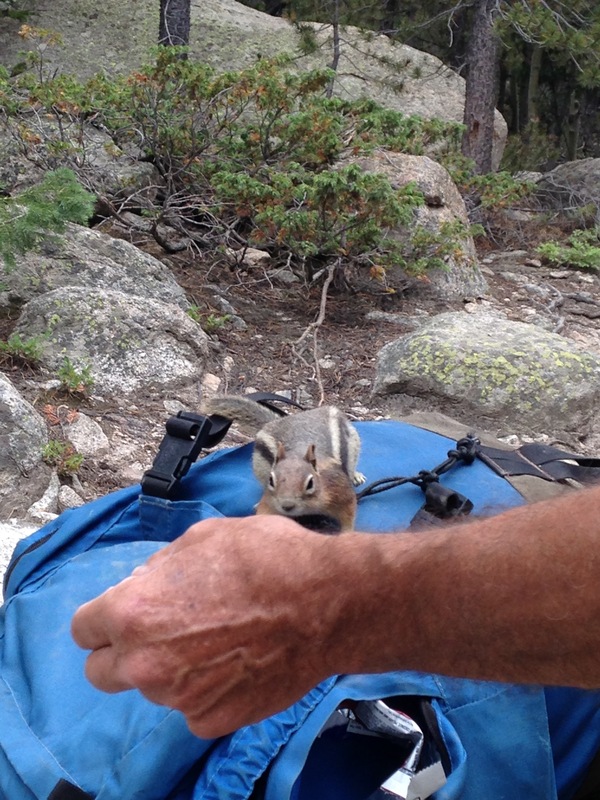 This little guy was looking for food in our backpack. Not shy at all. Nowadays, there are so many human creatures in south Florida the poor wildlife have left. That’s a shame. 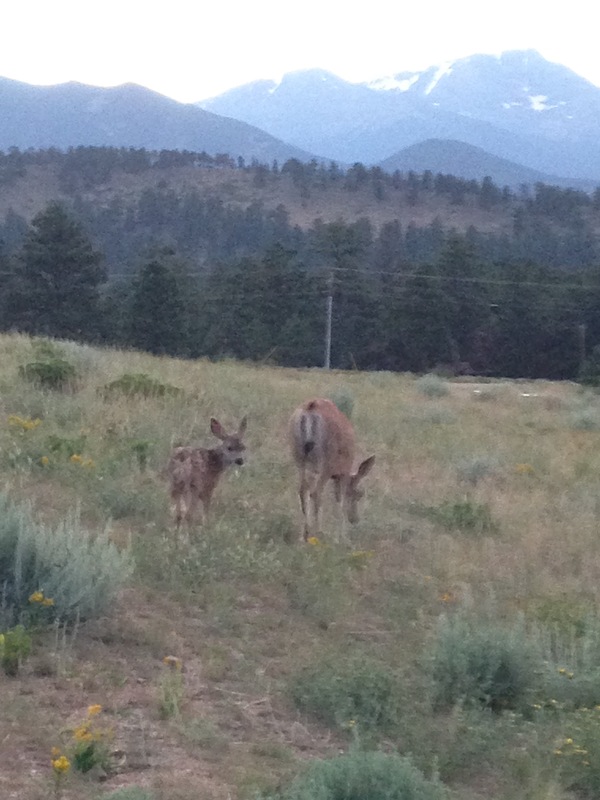 Wild creatures should be free and happy and abundant. 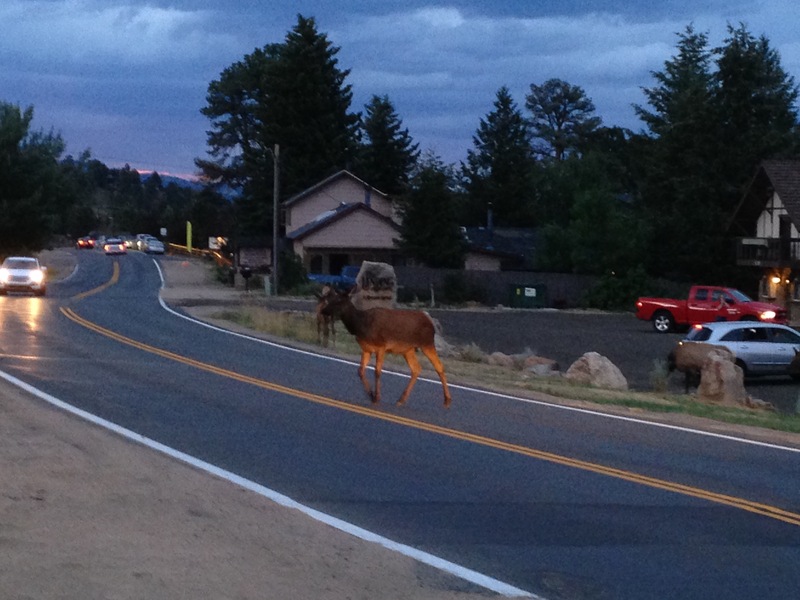 I just had a very close encounter with an elk too: it was huge with a huge crown! 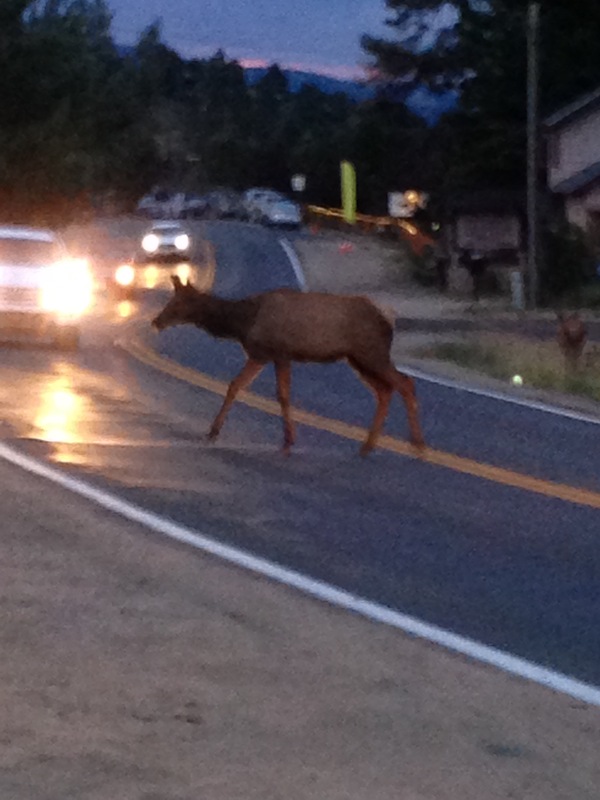 And stopped to look at us 1-2 metres in front of the car. 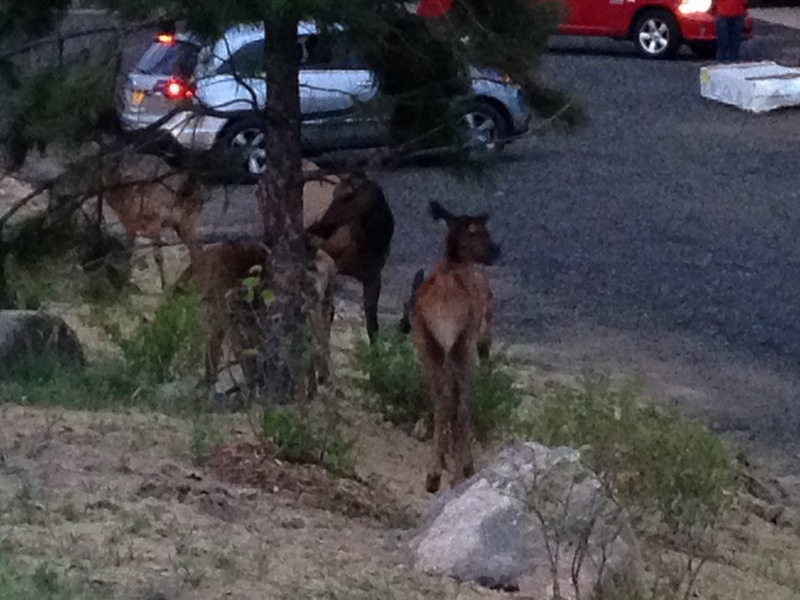 We were lucky a passenger saw the elk before it jumped on the road, I had plenty of time sop the car and just marvel. They are beautiful creatures. Some are so tame and spoiled.